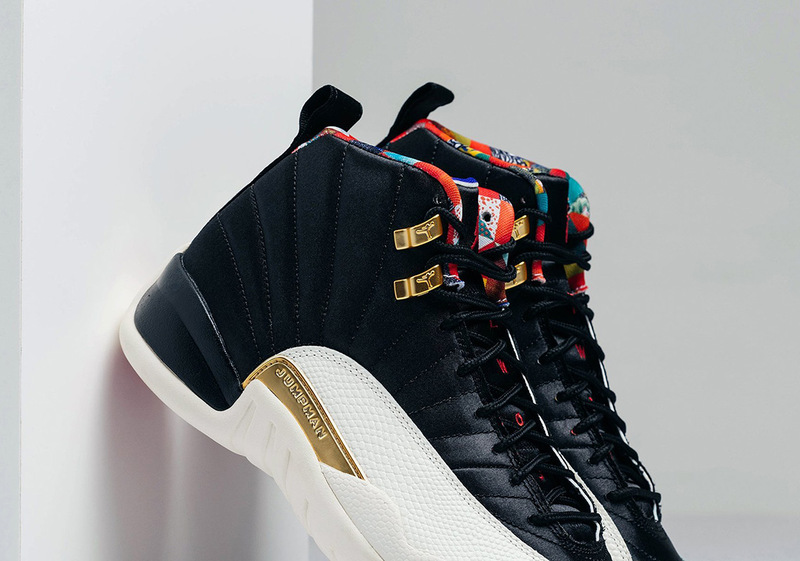 In celebration of this year’s Chinese New Year festivities, the Jordan Brand has drawn up another colorway of the Air Jordan 12, with a bit of a twist. 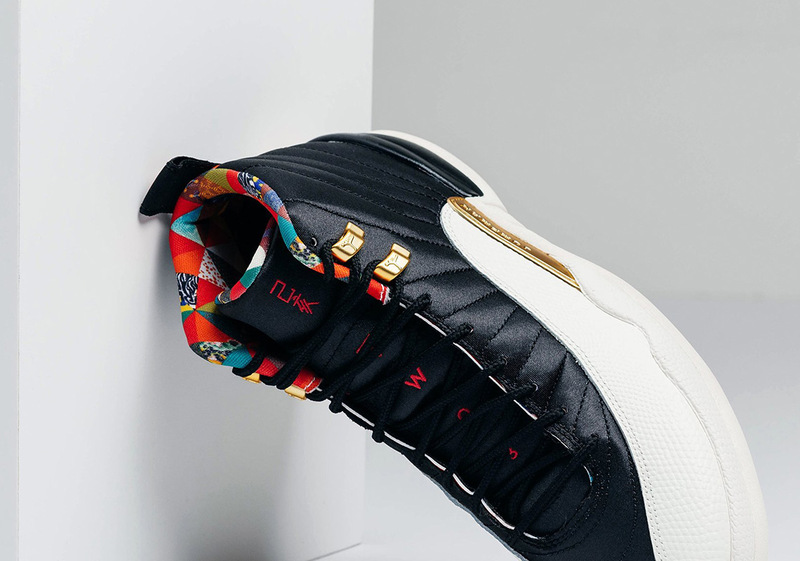 Upon first glance, these 12s appear to be a relatively simple Black, Sail, and Metallic Gold iteration, but with a bit of intentional work or incidental wear, the outermost black layer fades away and reveals a colorful graphic inspired by a traditional Bai Jia Yi patchwork design. 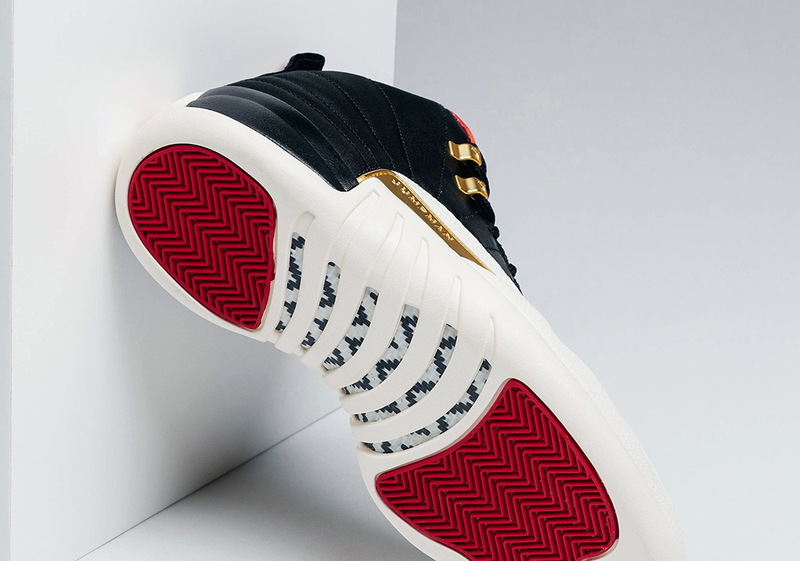 While 2019 is the “Year Of The Pig”, much of Beaverton’s projects for the holiday have been centered around the entire cycle as well as their last dozen years of commemorative sneakers. 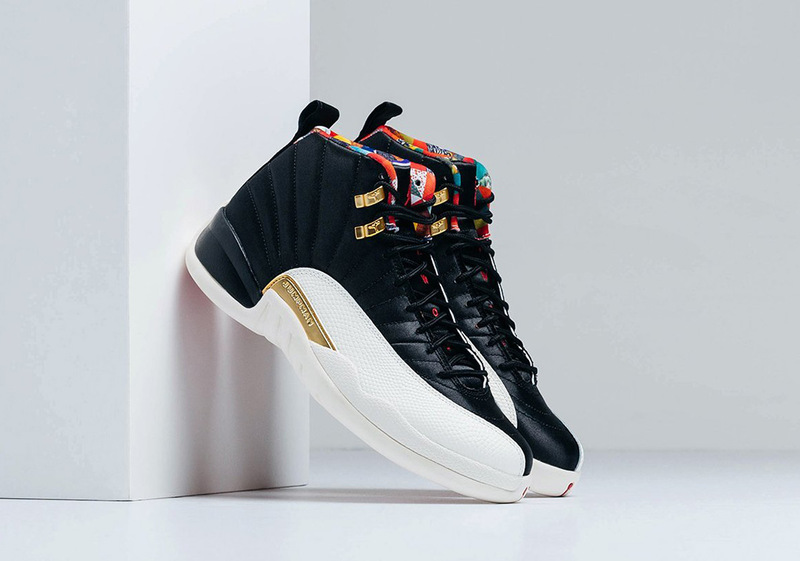 With pairs expected to release on February 5th for the start of the CNY, enjoy another detailed look below as well as a store list intended to help you add these to your rotation.